Metal roofing may not be to everyone’s taste. Maybe someone doesn’t like it because they fell in love with terracotta roofs in the Mediterranean while on a Croatian cruise. It happens. But we’d hate for anyone to dismiss metal roofing for the wrong reasons. The fact is, people get a lot wrong about metal roofs, even mistaking what metal roofs look like. 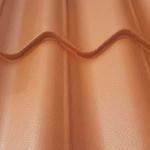 Today’s metal roof comes in all kinds of colors, styles and finishes, and there’s something for every home. Beyond appearance, many myths of metal roof problems are pervasive, so here’s a fact-check on some. Sure, metal roofs can be loud in the rain, but that’s what happens when it’s not done right. The reality is, metal roofing can be installed quick and dirty like any other construction job, and a common consequence would be the noise. 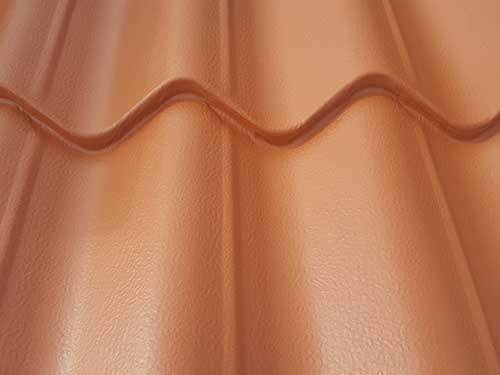 But when metal roofs are installed properly, sound dampening is achieved through quality underlayment. Sound dampening products are not all created equally, though, and different levels exist, just like with choosing underlayment for a hardwood or engineered floor. Modern synthetic underlayment is a sound-dampening game-changer! Talk to your metal roofing pro for advice on what roofing panel and underlayment combo is the best for keeping a lid on the pitter-patter of rain and hail’s hammering. This is a real head-scratcher, because metal roofing is possibly the lightest roofing solution. Modern engineering methods mean there’s a wide variety of metal roofing materials suiting today’s home’s needs. 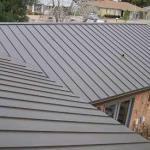 Comparatively, metal roofing is the best choice for you when weight concerns you. Asphalt roofing weighs double what the standard metal roof does. Fiber cement shakes, slate, and concrete tile tip the scales at three times the weight of metal roofs! Sure it can. A roof’s support doesn’t come from the roofing material, it comes from the framing and finishing beneath the surface. If the roofing deck is solid, you’re fine to walk on any flat part of a metal roof panel. 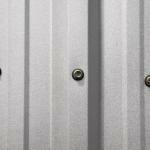 In addition, many metal roofing panels are textured, which provides some traction when walking on the panels. Slight texture to the metal panels can provide traction – and visual appeal. Well, metal roofs do look nice! We think they’re attractive. 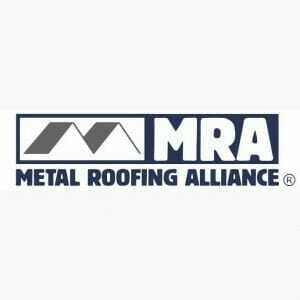 But, seriously, metal roofing isn’t any more likely to attract a lightning strike than a slate or asphalt roof is. 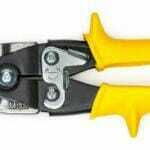 This is a big myth, because people think metal conducts electricity, ergo it must conduct lightning. Not true, as what attracts lightning is the high point in any area. Lightning is lazy and it aims for the easiest target – whatever’s highest. And besides, if your house does get struck by lightning, you want a metal roof. It’s fire-rated and isn’t combustible, so that lightning strike just hits metal, gets dispersed, and saves your home from going up in flames. Hot and roofing is a combination like peanut butter and chocolate, it just goes together. No matter what the roofing material is, being on the roof on a hot day is the last place you want to be. But metal roofing isn’t hotter than its competing materials. And more importantly, it does a better job of saving your energy in the heat – and in the cold, too! In fact, today’s metal roofing is designed to release solar energy. It does this much more efficiently than other roofing materials do. It even increases indoor energy efficiency because it reduces your air conditioning needs by up to 40% in the summer months. It does this through re-emitting up to 90% of the heat it absorbs! In the winter, it’s surprisingly the opposite – it retains heat in the air space below the roof. In fact, in 2007, when the U.S. Department of Energy asked Oak Ridge National Laboratory to study the energy efficiency of metal roofs, they found the winter air space under metal roofs, compared to asphalt, was up to 20 degrees warmer! Now that’s an energy savings, especially considering the technology improvements in insulation and roofing materials in the decade since that study. Today’s metal roof isn’t your great-granddaddy’s tin barn roof. With advanced galvanizing and hi-tech paints that are like baked on enamel, the modern metal roofing is designed to last for decades without suffering corrosion. Metal roofs are warrantied for as much as 40 years against fading, chalking or pealing—if corrosion can’t penetrate the finish, rest assured, the steel is protected. Whoever said “you get what you pay for” must have had a metal roof. If you want peace of mind that your home won’t go up in flames under a lightning strike, you need a metal roof. If your area is prone to wildfires, metal roofing is fire-rated and non-combustible, perfect for wildfire country. If you live in storm country, metal roofs are effective against even hurricane-strength winds and many are hail rated – and a well-maintained metal roof can still defend your home after 20 or 30 years, while asphalt and other materials lose efficacy over time. Finally, if you’re worried about ever-increasing energy and electrical costs, metal roof will save you money on energy bills year after year. Metal roofs are good against fire, lightning and wind that you could even qualify for a rebate on home insurance. With many metal roofs warrantied for 20, 30, and even 50 years, it could be the last roof you ever install, while being a money-saver for decades.